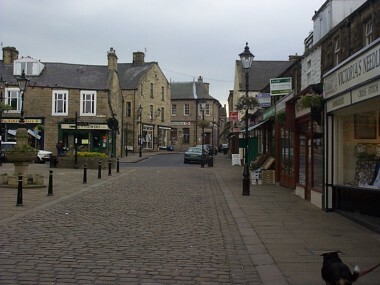 Picture of Barnoldswick shopping precinct. Barnoldswick is another town steeped in history. Barnoldswick can trace its history back to the Vikings. Barnoldswick was known as Bernulfsuuic in the Doomsday Book. In 1147 a monastery was founded here by Cistercian monks from Fountains Abbey, but the locals didn't take too kindly them so they moved on to Kirkstall where they built an abbey. The monks did leave behind some trace though. About 10 years after their removal they built the church of St Mary-le-Gill about a mile from Barnoldswick center. Apparently they built it so far away because of their altercation with the locals. An old mill town that is now home to many companies; Rolls Royce and Silentnight (actually in Salterforth) being its most famous. Come along to a full day and evening of music at Barlick Unplugged - 25 Sep 2004. Website: The Bancroft Mill Engine Gillians Lane The last of 13 mills built in Barnoldswick in 1920. 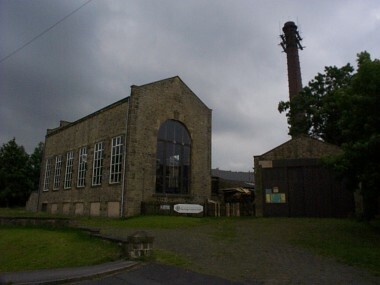 It closed as a "working" mill in 1978, but re-opened in 1982 as a tourist attraction. It is powered by a 600 horsepower cross-compound machine with a rope drive and has a 120 foot (36.5m) chimney.